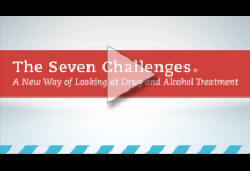 The Seven Challenges® Program was designed with the unique needs of substance abusing adolescents in mind. Through the Seven Challenges® teens address not only their drug or alcohol abuse, but also their underlying psychological, situational and life skills issues. The Seven Challenges® provide a framework for helping youth think through their own decisions about their lives and their use of alcohol and other drugs. Counselors, trained specifically in the program methodology, facilitate discussions that help youth to identify and work on the issues most relevant to them, practice new skills and, eventually, make positive lifestyle changes. 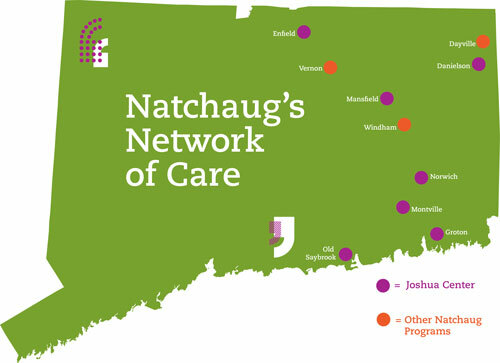 Natchaug Hospital is pleased to bring this evidence-based treatment program for adolescents to eastern Connecticut. Because Natchaug is committed to providing the most effective, up-to-date treatments, the hospital uses the Seven Challenges® Program to give young people a framework for recovery. For years, the treatment for youth with drug and alcohol problems involved dragging them into counseling and demanding they quit using. Research has shown this is not an effective approach. The Seven Challenges® Program doesn’t force change, but rather motivates the young person to make a personal commitment to change. The program helps youth examine the importance of their choices and make healthy decisions on their personal road to recovery. The Seven Challenges® Program has been proven effective in treating substance abuse along with other mental health and trauma issues. The Seven Challenges® uses a group therapy approach. Therapists trained in the program facilitate discussion and help youth speak openly about their addiction. During these group discussions, counselors seamlessly integrate the challenges as part of the conversation.